Rockets fired at Libya capital's only working airport - SABC News - Breaking news, special reports, world, business, sport coverage of all South African current events. Africa's news leader. It came within days of Mitiga International Airport’s reopening after it was forced to close for a week because of deadly clashes between rival militias in and around Tripoli. A Libyan Airlines flight was diverted to Misrata airport, some 200 kilometres (120 miles) east of the capital, the source said, adding that preparations were also underway to move planes on the tarmac in Tripoli to Misrata. The airport had reopened on Friday after a ceasefire overseen by the UN was signed between the armed groups waging a bloody conflict mostly in Tripoli’s southern suburbs. The fighting has killed at least 50 people and wounded 138 others — most of them civilians — since August 27, according to the health ministry. During heavy clashes last month, at least three rockets landed in the airport’s vicinity, forcing staff to reroute all flights to Misrata. Tripoli has been at the centre of a battle for influence between armed groups since the fall of dictator Moamer Kadhafi in 2011. Mitiga, a former military airport in the east of the city, was first opened to civil air traffic after the destruction of Tripoli’s international airport in the capital’s south during unrest in 2014. Libyan airlines are banned from European Union airspace for “security reasons”. Separately in the capital, the Islamic State group claimed responsibility on Tuesday for a suicide attack a day earlier against the headquarters of Libya’s National Oil Corporation which killed two employees. Three attackers died in the assault on the NOC’s offices, IS said in a statement published by the US-based SITE Intelligence Group which tracks extremists. That attack came four months after the headquarters of the country’s electoral commission in the capital was hit by suicide bombers, killing 14 people and also claimed by IS. 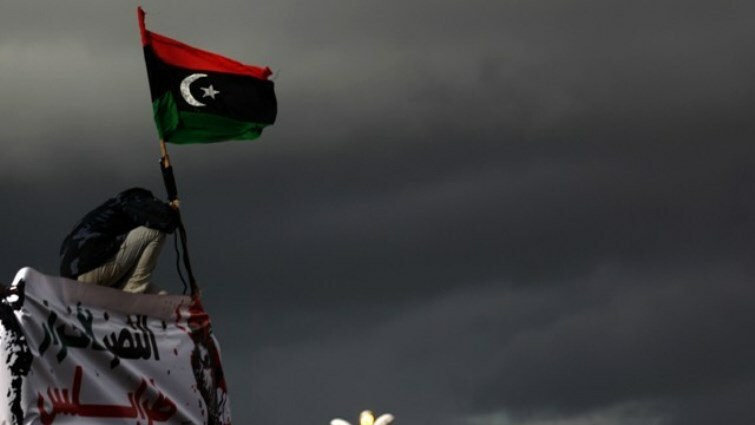 The jihadist group gained ground in Libya in the chaos following Kadhafi’s ousting and despite being driven in December 2016 from its main fiefdom of Sirte, east of the capital, it continues to carry out deadly attacks. This entry was posted on 12 Sep 2018,05:54AM at 5:54 AM and is filed under Africa, News, Homepage Latest Stories Slider. You can follow any responses to this entry through the RSS 2.0 feed. Both comments and pings are currently closed.